The failure of your dryer is a huge inconvenience for any family. It’s not like back in the day when you could easily throw your undies over the bushes or hang them on the line! Dryers, in general, are fairly mechanically simple, meaning that you can easily get years and years of faithful service from your machine. They just take a bit of maintenance and repair once or twice during its lifetime and you should be good to go. Rubber belts, idler pulleys, rollers, all WILL be repaired sometime, but it is no reason to throw the dryer out! Licensed, insured, background, drug and alcohol inspected technicians are here for any dryer repair you might need in Boise, Eagle, Meridian, Nampa, Caldwell, Middleton, Star, Garden City, Emmett, Horseshoe Bend and beyond. Then you might need dryer repair from Cody’s! Cody’s Appliance Repair is factory trained and certified by most manufacturers for gas and electric dryer repair, in and out of warranty. Just give us a call for more information. What that means for our clients is that our technicians participate in regular training, hand-in-hand with the manufacturer or professional dryer repair seminars through United Servicer’s Association, to update our skills and product knowledge. 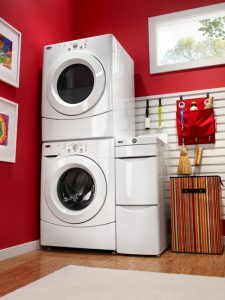 Our partnership ensures that you have your dryer fixed right the first time! Don’t wait! The longer you run the appliance when it is failing, it can weaken other components, which can make them fail too. Fix it right, fix it fast! Call us today for service or schedule right here online, for your convenience.